This article will provide you information on some of the distinctions between these two retirement plans, their eligibility requirements, as well as other factors to take into consideration when selecting which account is most beneficial to you. The first step is to get your IRA savings account opened and setup. There are lots of choices today, but finding the best IRA company can easily become very confusing. You need to pay special attention to each ones fees and penalties as they will eat away at your returns. The limits on contribution for Traditional and Roth IRAs are almost similar. For this tax year (2010), for instance, you can place as much as $5,000 to your retirement plan, and another $1,000 as catch up contribution if you are 50 years of age and older. A significant aspect when making up your mind which retirement plan to place your money into is your ability to deduct Traditional IRA contributions to receive a tax break during the year you made the IRA saving or contribution. Your capability to deduct Traditional IRA contributions will be based whether you meet the specific requirements satisfactorily. On the other hand, the Roth IRA contributions are not deductible. If you plan to contribute to your IRA savings accounts for the rest of your life or for as long as you wish, you must assess the limitation on age relative to the IRA contributions. You will be prohibited to place a participant contribution to a Traditional retirement account once you become 70 ½ years of age. For Roth IRAs, you’ll be delighted to know that there is no age limit when making contributions. One feature that establishes whether a Traditional or Roth IRA is more beneficial to you is your income, which states your eligibility to make contributions to a Roth account. 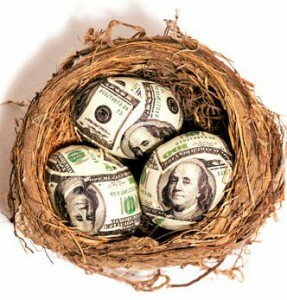 If you are earning more than the limit, then you will be proscribed from contributing to a Roth IRA. Furthermore, the contribution limit to this retirement plan may be lessened if your generated income drops within particular ranges. To understand this policy better, you must seek advice from a tax advisor to find out the maximum amount you may house on your Roth. Remember that income caps are not applicable to contributions in a Traditional IRA. If you desire to benefit from IRA interest rates but don’t want to be burdened of making required withdrawals, then you should be aware of the IRA policies concerning RMDs or required minimum distributions. This is because when you keep a Traditional IRA, you will be required to start making withdrawals by the 1st of April in the year after you become 70 ½ years of age. Through this, you are gradually reducing your retirement plan balance and add the withdrawn money to your income, even though you don’t need cash at that moment. On the other hand, Roth IRA holders are not mandated to fulfill the RMD policies. 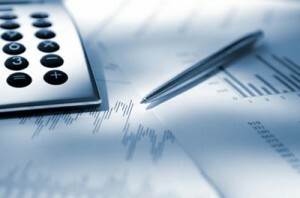 Similar to tax free savings account that has distinct tax structure, Traditional IRA as well as Roth IRA savings account also come with unique tax treatment particularly when it comes to the distributions. In general, withdrawals from a Traditional account are deemed as ordinary income and may incur income taxes. In addition, the distributed account funds may get early distribution penalties if the money is accessed while the owner is not yet 59 ½ years of age. The withdrawals are made not earlier than the 5th year after the owner opened his or her account. The five year phase starts with the tax year when the first contribution was placed. The owner is 59 ½ years of age. The beneficiary began the distribution upon the owner’s death. The owner bought his or her first residential property. If you are evaluating the IRA savings account in a general tax perspective, then the Roth IRA is more beneficial compared to Traditional IRA and even interest bearing checking accounts, particularly if your tax rate when you retire will be considerably lower than your present rate. This is for the reason that Roth IRA permits you to compensate the taxes immediately and take advantage of tax-free withdrawals when you retire.